If the direct approach reaches a roadblock, consider a detour. That’s the kind of thinking that may lead to more roundabout—and potentially more effective—treatments for inflammatory bowel disease (IBD). In IBD, the usual approach is to directly target inflammation. Unfortunately, this approach fails many patients, who suffer frequent episodes of abdominal pain diarrhea, and in severe cases, rectal bleeding. Another approach—an indirect approach—would involve tamping down a gene, SERPINE-1, that is best known for its role in blood coagulation. This gene, which encodes the protein plasminogen activator inhibitor-1 (PAI-1), has been found to be highly expressed in aggressive cases of IBD. PAI-1 also appears to promote inflammation indirectly by targeting another protein, tissue plasminogen activator (tPA), which helps regulate intestinal inflammation. These findings emerged from a global transcriptomic analysis conducted by scientists based at the Washington University School of Medicine in St. Louis. 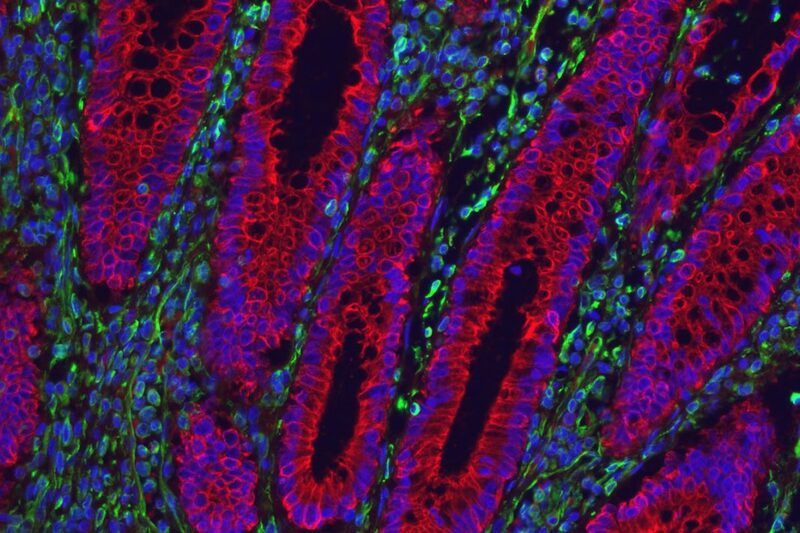 The analysis, which uncovered gene expression patterns in tissues obtained from colon biopsies, enabled the scientists to identify noninflammatory IBD-related pathways. The coagulation gene pathway, the scientists determined, was among the most enriched gene sets in patients with IBD. Also, one gene stood out: SERPINE-1. When the mice with IBD-like symptoms were treated with a compound called MDI-2268 that blocked the activity of the protein, they fared much better. They lost less weight, and their intestines showed less destruction and inflammation than mice that were treated with a placebo. CRISPR Editing of Human Embryos Approved in the U.K.